Bigfoot has nothing on him! SH MonsterArts is back with a popular GMK fan favorite - Godzilla from the 2001 Godzilla movie! Fans of the SH Monsterarts series will not be disappointed by this dynamically detailed sculpt from the capable hands of Japanese sculptor Sakai Yuji. GMK Godzilla is faithfully brought to life in figure form with great care taken in authentically recreating each defining aspect, from the predominant back spines to the iconic milky, white eyes. 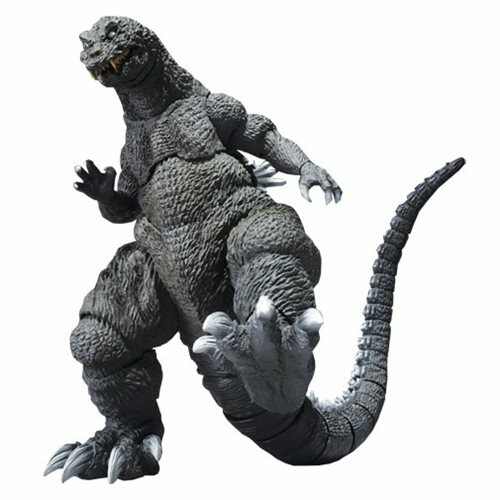 Godzilla fans, don't miss the chance to add SH Monsterarts Godzilla 2001 to your collection! Measures approximately 6 1/4-inches tall. Ages 15 and up.